The latest version flash file of Nokia Lumia 610 is now released. This firmware flash file is recently updated for Nokia Lumia 610 device. By using this flash file you can easily flash your Nokia Lumia 610 windows phone without any problem using different flashing boxes like Nokia Phoenix and more others. After flashing there will be more features in your Nokia Lumia 610 mobile phone. All files like MCU, PPM, and CNT is constructed in one rar file. In the rar file also available Nokia Lumia 610 RM 835 Arabic and Urdu flash file. 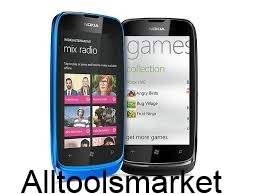 So download Nokia Lumia 610 flash tool from my site and easily flash your device. If you face any problem in flashing process then watch this amazing video and prompt to flash your Nokia Lumia 610 mobile phone. This video is most helpful for new flasher, must watch this video tutorial and easy to flash your phone. Remember that before flashing process doesn’t forget to backup your important data like Messages, Photos or Images, Contact and etc. Because after flashing process your phone all data will be deleted permanently and you cannot get it again.